June 3rd – House Reworked - On site creation of garments and accessories – one of a kind unique items made from combinations of recycled clothing and new materials. June 10th – Final Day! "We are proud to announce the official program for our 4th edition of the Picture Farm Film Festival. Over the course of two days, we will be screening over 25 short films along with a special presentation of Chanelle Aponte Pearson’s 195 Lewis. You can purchase your tickets in advanced here. Our programmed blocks feature short films that tackle topics such as romance in the time of shifting gender presentation and defining “punk” in marginalized communities. As always, we’ve got some soulful Q&A’s planned. 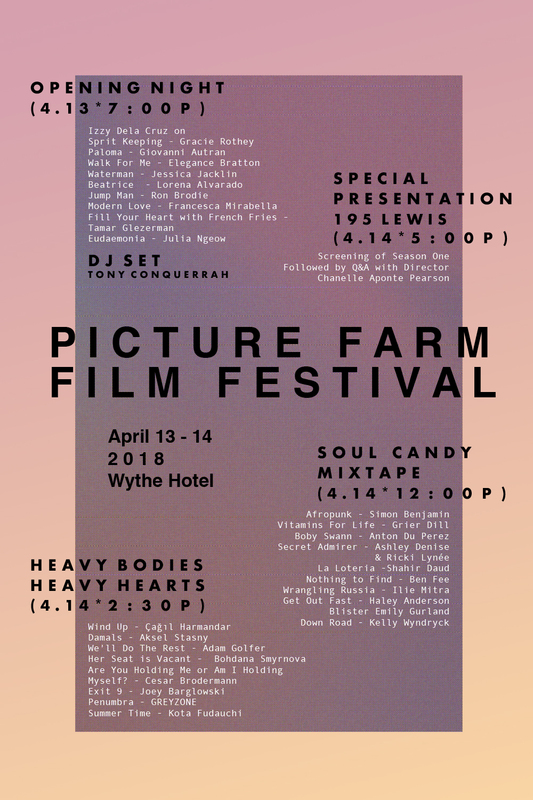 Picture Farm Film Festival takes place Friday, April 13 - Saturday, April 14, 2018. Scroll down to learn more about each film." 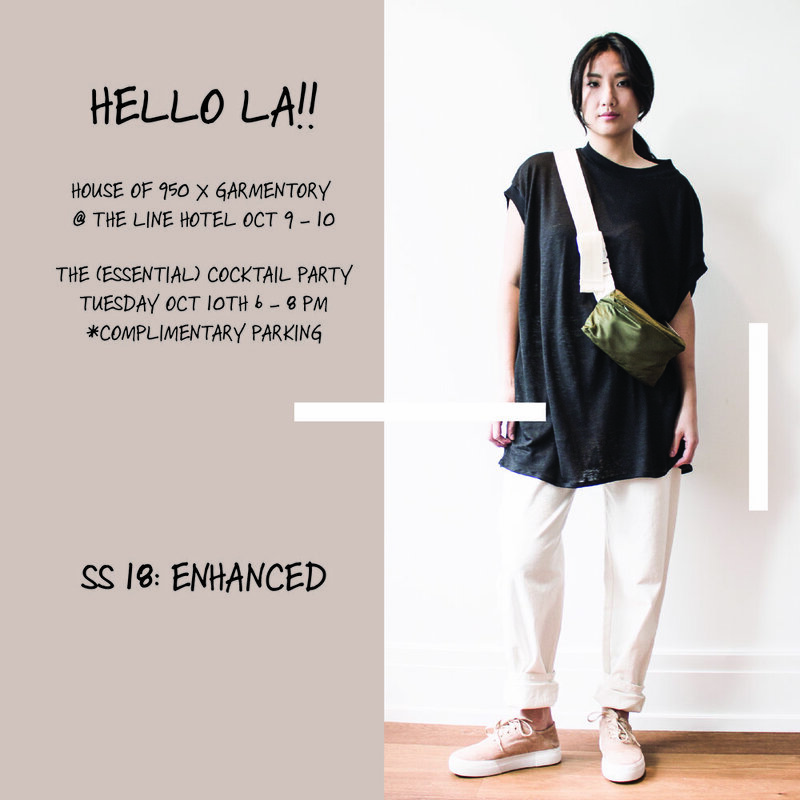 Smart Design: A Party with Desiree Klein and House of 950 Saturday, October 14th, 7 - 10pm Come celebrate smart design! 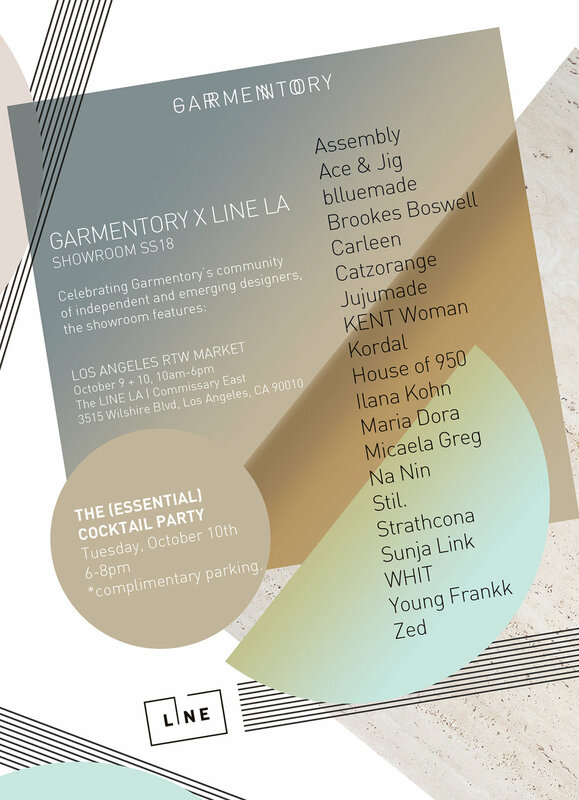 LA-based designer Desiree Klein joins forces with NY brand House of 950 for a party. Desiree Klein is launching her fall collection into the world—come be the first to get her coveted convertible pieces in new colors and fabrics: think fawn corduroy, bright yellow plaid wool, and rich, hiking green. DESIGN GIVEAWAY: Eric of House of 950 will be offering a conceptual trade to those willing to participate. Clothes for a New Experience is a chance to dream of something new: bring an idea of a new experience you'd like to have and Eric will choose the most compelling experiences to receive gift outfits! Created by Audrey Louise Reynolds and Hosted by Various Projects at Project No. 8. A curated selection of our product will be for sale. Opening Party Sept 27th 6 - 10 PM @ Project No. 8 38 Orchard Street 10002. Select House of 950 pieces are available for purhcase at Days. About: Days is an iterative and fluid retail/community/event space in Los Feliz. With each iteration we host events and bring together collections under different themes. Days is a space responsive to dreams, ideas, perceptions, objects, trips; a place where we can engage with each other as makers and thinkers and people. Days is run on a gallery model in the sense that these different themed "seasons" are up for 2-3 months at a stretch. 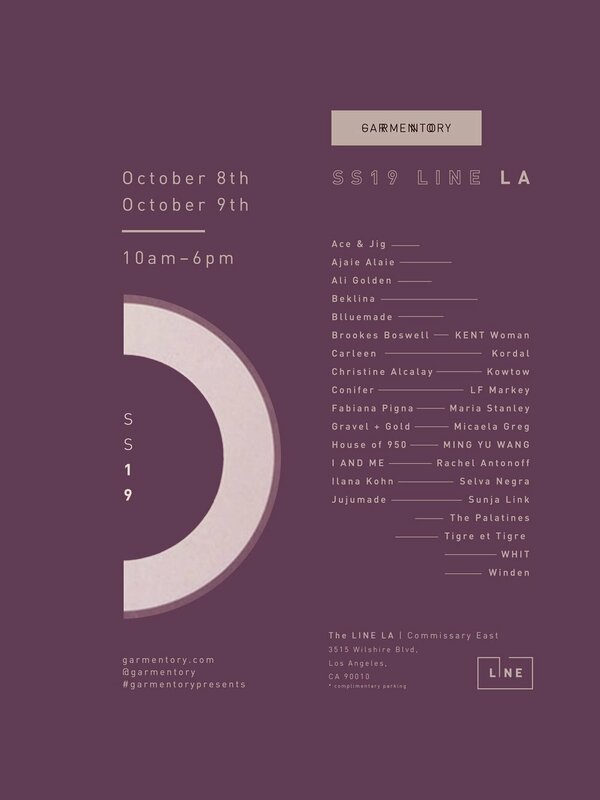 In collaboration with Platform LA in Culver City, In Support of x Garmentory are hosting a month long pop up featuring independent designers including House of 950. Sandy Liang, Tsumori Chisato, Nikki Chasin, House of 950 and more at this sample sale from concept boutique In Support Of in NYC. We will have select styles from FW 16 and earlier collections on sale at get em out the door prices! Days asks, how can we celebrate what’s good and magical while staying engaged in care and active in serious matters? The new iteration, Vernal Days, explores this question through a series of events and collections manifesting plants, words, and nourishment. We hope you can join us!